I’m still amazed that my relatively out-of-date smart phone sometimes takes better photos than my actual camera. Especially at night without a flash. 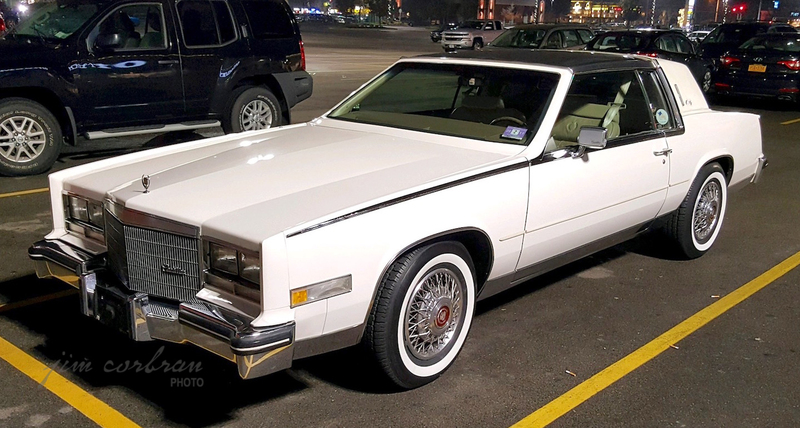 This c1983 Cadillac Eldorado Biarritz was seen one evening not too long ago in an Amherst parking lot. I’m also kind of amazed to see that temporary cardboard license tag still intact after coming all the way from New Jersey. 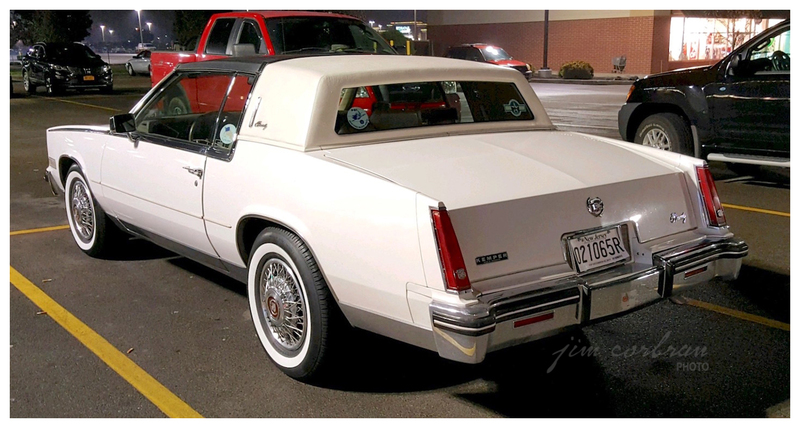 Just to show how times have changed — the Kemper dealer plaque on the back of the car? Kemper Pontiac Cadillac was located in Bridgewater, New Jersey. It is now Kemper Kia. Ouch.